In 1997, a dam was conceived by the Ministry of Agriculture (MOA) to be built at Halhal village. The intention was to conserve water for irrigation purpose. Subsequently, the village farm can benefit directly withdrawing water from the reservoir or from the replenished groundwater system. Period of construction: from February 1997 – June 1997 almost 4 months of intense work. Location: Halhal village, Anseba region of Eritrea. Figure 1 is a birds-eye view of the reservoir. Enterprise: Ministry of Agriculture (MOA), Asmara, Eritrea. It was a governmental organization comprised of six regional and numerous sub-regional offices. The principal office nestled at Asmara, Capital of Eritrea. Method of Construction: all sorts of heavy equipment utilized such as rollers, loaders, dozer, and grader. Moreover, loading trucks and pickup vehicles were utilized as a mode of transport. The responsibility here was to construct the dam as well as monitor other small diversion structures at the surrounding regions such as Asmat area where a small weir structure was built to redirect flush flood into a basin irrigation system. Figure 2 shows Asmat irrigation project survey. The Halhal dam was designed to be 17m high, crest length 65m, crest width 5m and the bottom width about 90m. The core body of the dam was built with clay soil and the two opposite outer body surfaces were packed with dirt dugout from the reservoir area. The upstream and downstream surfaces slop were 1:3 and 1:2 respectively. Both sides were covered with stone rip-rap. Moreover, the downstream side has a berm in the middle. The downstream side toe of the dam has sand and gravel filtration system that can help to discharge water from the phreatic line safely. Figure 3 and 4 show a typical earth dam profile and the gravel filter lying process at Halhal dam. The spillway was merely a dugout; it has around 10m width and around 1.5m depth. The length of the spillway extends to the downstream side of the existing river course as indicated in Figure 1. Consequently, the freeboard level of the dam was at level 15.5m from the bottom or in other terms, the maximum depth of water was equivalent to 15.5m. The fetch length of the reservoir stretched out greater than 120m in the direction of the upstream reservoir boundary. The outlet was made from a regular concrete pipe nevertheless protected or covered by a reinforced concrete cover. There were around 11 collars ( 7ms distance between each collar) along the pipe to help minimize creeping water. Figure 5 illustrates or represents the type of collars used at Halhal dam; however, the image is downloaded from internet simply to demonstrate the type of collars used. The outside end of the outlet structure constructed with an iron pipe that links the valve and the concrete pipe is shown in Figure 7. The foundation at the central axis of the dam was dugout and filled up with clay soil up to the freeboard level. Figure 8 shows the construction process of the dam at Halhal. The compaction was taken care of with two rollers and the methodology applied was simply rolling 4 times back and forth on 0.3m thick dirt while pouring water on it. The dozer disperses the dirt along the surface, and then the rollers roll over it. 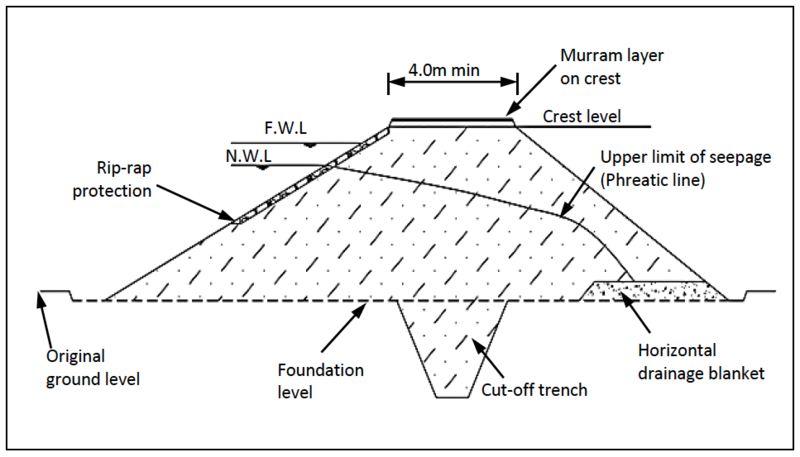 Figure 9 shows the compaction process of Halhal dam. The hydrological study of the dam was implemented roughly using empirical formulas. 10% of the annual rainfall considered being a runoff and then from this the volume can be easily calculated multiplying the runoff depth with the area of the catchment (Watershed). As it was a government project, the cost incurred in the project could be retrieved from the government bureau. Nevertheless, it is possible roughly to evaluate the cost incurred based on the number and type of machinery utilized as well as personals took part in the project during the given period of construction. The number of machinery worked 8hrs per day throughout weekdays encompass two compactors, a loader, an excavator, two dozers, a grader, water tank trucks, two pickup cars, two loading trucks. The personals were a trained engineer, a foreman, two machinery foremen, and operators for each individual machine highlighted above. Additionally, around twenty laborers and craftsmen took part in the construction process as well. Consequently, the cost of construction without including the materials utilized such as essence, cement, sand, reinforcement bar, concrete pipes, and vehicle repairs and maintenance etc.. Simply based on the monthly earnings of the personals, the expense gets well over ~1 million Nakfa ($71, 428.57 ). The tasks of the site engineer were regulating the concrete mix and the soil type used, assisting the foremen interpreting drawings, compaction control, organizing machinery and construction materials, helping on the reinforcement bar schedule, transmitting the design from the paper to the ground, guiding the excavation and supervising the construction in general based on the plan provided. The number of skilled and non-skilled personals took part in the construction were the following: one trained engineers, carpenters, and masons as well as non-skilled laborers. Furthermore, a large number of machinery group members and machinery foremen were involved in the construction.